Diwali is one of the biggest festivals in India. It takes place at that time of the year when winter starts setting in most parts of India and the chill in the air greets the festival and help people unleash their festive moods. How do we spend Diwali? Over the years, lights, firecrackers, parties fill with mouth-watering sweets, food, meeting relatives and friends have been integral part of Diwali celebration. And yes, just like any festival in India Diwali is also incomplete without gifts! If you are raring to make the most of this Diwali and planing for a full-fledged entertainment, you must also be thinking about the gifts for your family members and friends. Well, what about a nice, unique gift this year which is well thought out and will definitely remind your loved one of you? After all, your choice of Diwali gift will show how much you care for your near ones! 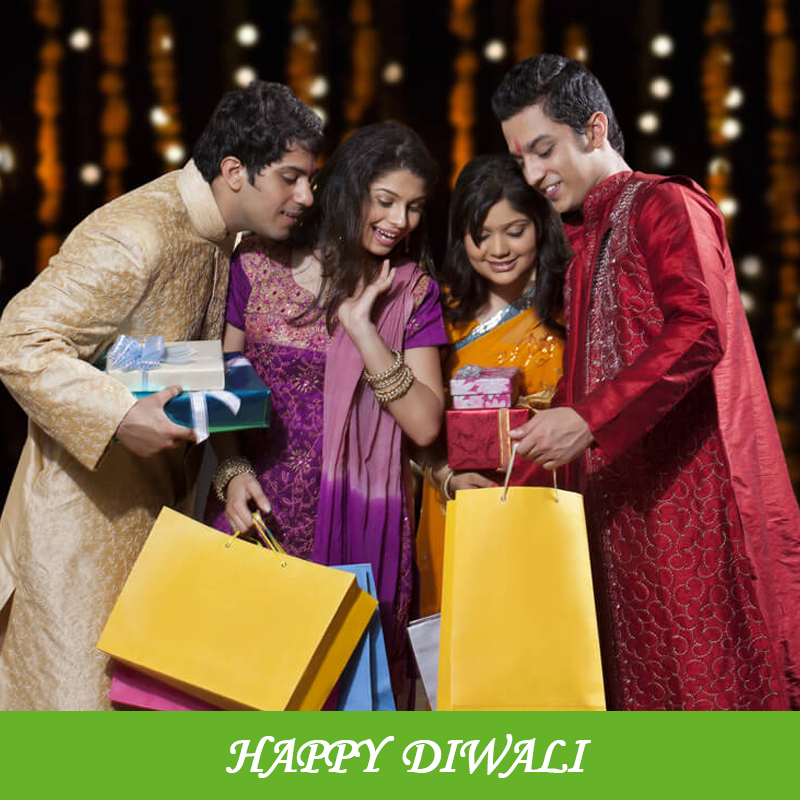 A health insurance policy for your entire family can be your best bet when it comes to Diwali gift this year. Although, you never thought beyond dresses, gadgets and other expensive items but if you dare to go off the beaten track it can prove to be not only a very useful gift but also a very sensible investment for your family as well. Why Should Health Insurance be Your Chosen Diwali Gift? Diwali aside from filling our minds with happiness and joy also fills the air with noise and pollution. 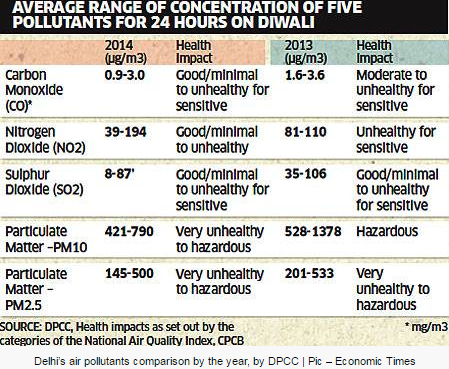 According to experts, the air pollution level during Diwali increases by 30%. Various pollutants not only pollutes environment, but also triggers the rise of many critical air-borne diseases. Here is the list of diseases with elevated risks during the time of Diwali. It is not an easy task to trace out the best health insurance out of a plethora of plans available. There are more than 30 providers of health insurance online in India and you need to compare health insurance to pick the best one as per your family's requirement and your budget. The following is the list of top 3 family health insurance plan with lowest premium assuming you are 32 years old and you live in a metro city with your spouse who is 30 years old and your son who is 5 years old. The chosen Sum Insured is Rs. 8 Lakhs as medical expenses are higher in metro cities. The lowest available premium is Rs. 11,467. Instead of gifting a costly gadget such as cell phone you can easily gift your whole family complete medical protection by buying this family health insurance cover offered by Universal Sompo. In case you are a single individual you can also stay protected by buying health insurance online. An individual health insurance in India will provide you with not only cashless treatment facility but also a range of benefits. Here is a list of top 5 individual online health insurance plans for a male person in the age-group of 31-35 years. The chosen Sum Insured is Rs. 5 Lakhs and location is Kolkata. The lowest available premium is just Rs. 3,583 and the provider is Bharti Axa. Th policy offers you cashless treatment facility in as many as 589 hospitals in your locality. Clearly, an individual health insurance cover is far better option for you in this Diwali than any other stereotyped gift items. Aside from the health hazards, Diwali also brings the risks of falling prey to fireworks related accidents. A momentary carelessness on your part or anyone in the proximity of your residence can cause mild or severe accidental injuries. Over the years, various parts of India have witnessed thousands of people suffering from injuries caused by fireworks related accidents. A whopping 1373 patients were reported from the year of 2002 to 2010 with ith firecracker-related injuries during the Diwali festival. More than 70% of total number of patients were male and between 5 and 30 years of age. Premium of this type of policy depends on the nature of occupation of the person. Insurance companies have come up with three categories to classify all occupations in terms of risks associated. Assuming your chosen Sum Insured is Rs. 5 Lakhs and monthly income is Rs. 25 thousands here is the list of lowest available personal accident insurance premium for all risk categories. The lowest available premium for personal accident insurance plan are Rs. 690, Rs. 718 and Rs. 1,150 for people with occupations in low, medium and heavy risk categories respectively. Hence, a comprehensive personal accident cover costs lot less than what you would have spent in celebrating Diwali this year. God forbid, if any mishap in Diwali cause temporary or permanent disablement, this type of insurance plans will help reduce your financial burden. Even if you decide against indulging in cracking fireworks and vows to remain cautious, you cannot possibly rule out chances of catastrophes. Disasters are unpredictable and when they strike it is next to impossible to stay out of harm's way. Since it is always better to be safe than sorry you should avail health and personal accident insurance polices for yourself and for your family this Diwali. In the moment of exigency insurance plans will prove to be lot more effective than any other typical Diwali gifts. So, shunning the idea of cliched gifts is the way to go this Diwali. Say no to anything that pollutes the environment like fireworks and keep your family safe and secured by making a gift of insurance policies be it health or personal accident insurance. Even though, you are too hard-pressed to squeeze out time for visiting insurance firms, you can still search, compare, select and buy health insurance online on GIBL.IN, the premiere online insurance marketplace in India in just a few minutes. 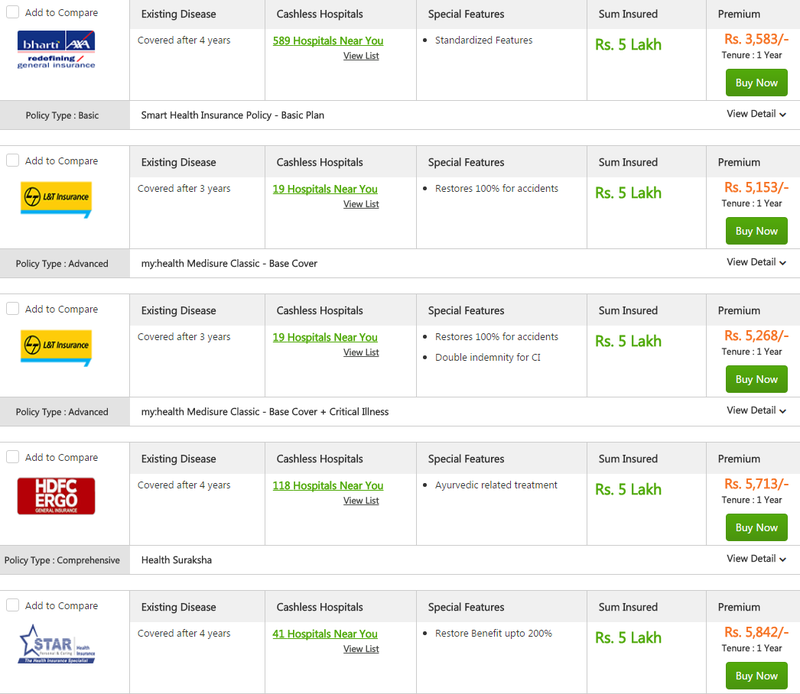 Diwali is just around the corner so you should start finding the best health insurance now.